Executives overseeing the Amsterdam-based alliance are scheduled to meet Nov. 29 in their first encounter since Ghosn was arrested on allegations of understating his income and misusing Nissan’s assets. Nissan CEO Hiroto Saikawa and others may attend by video conference, according to people familiar with the matter. Ghosn remains chairman of the partnership, which includes the smaller Mitsubishi Motors Corp. In his absence, one option being pushed by Nissan is to split the top job at the alliance among all three companies, one of the people said. But the French government, Renault’s most important shareholder, is sticking to the principle that the carmaker’s chairman should lead the alliance, a view shared by officials at Renault. The leadership void stems from Ghosn’s outsized role atop the alliance. He engineered the partnership between the French and Japanese companies that has grown to challenge Volkswagen AG as the world’s biggest vehicle producer. Under governance rules and a broad outline of the way it functions, decisions and recommendations “are always made by consensus between the two shareholders.” This worked when he headed all three partners, but in the past week he’s been removed as chairman of Nissan and Mitsubishi. Nissan is aiming to make a decision on who will succeed Ghosn as interim chairman by its next board meeting on Dec. 17, according to a person familiar with the matter. Nissan has said three external directors will nominate a candidate from its remaining board members. The Franco-Brazilian executive, who has been ousted as chairman by the two Japanese partners, has denied wrongdoing, according to NHK, Japan’s national broadcaster. Nissan made annual records of the compensation to be paid at a later date to Ghosn, the Nikkei reported. Tokyo prosecutors view that the amount of pay Ghosn would receive was fixed at the time the records were made and therefore he was required to declare this deferred pay in securities reports, the Nikkei said. Ghosn told the prosecutors that former representative director Greg Kelly told him that the way he reported his remuneration was legal, the Asahi newspaper reported. The turmoil atop the alliance comes at a critical moment, when automakers across the globe are wrestling with an array of challenges, from slowing sales in key markets to long-term technological change that requires massive investment. That’s why analysts say it’s essential for the partners to sort out their differences or risk falling behind rivals from Germany to Silicon Valley. Nissan is aiming to redress perceived imbalances in the alliance by limiting the power of its French partner to nominate officials to its own board and appoint the chairman of the alliance, Bloomberg has reported. The Japanese carmaker doesn’t expect shareholding changes will be discussed at the meeting, although there will be discussions on who should be the alliance chairman going forward. a person familiar with the matter said. French Finance Minister Bruno Le Maire on Nov. 25 called the alliance “indispensable,” and said he wants to strengthen it while maintaining the existing cross-holdings and governance rules — including one that requires Renault’s chairman to serve in the same role as head of the alliance. 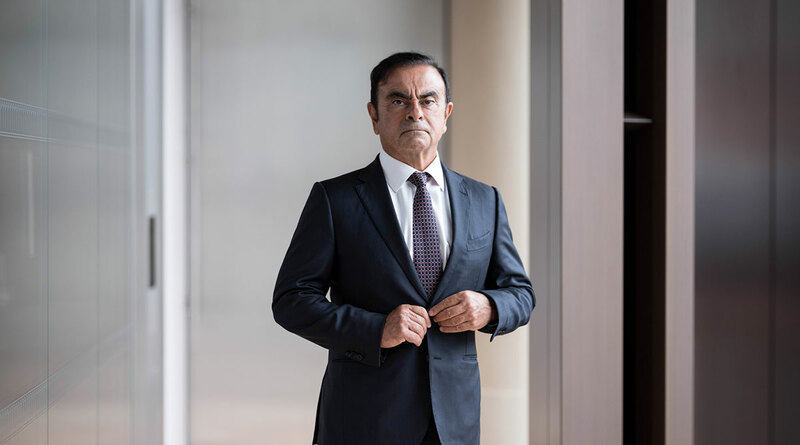 Renault’s board stopped short of ousting Ghosn, instead naming deputy Thierry Bollore as interim CEO. Renault has a 43% voting stake in Nissan, which in turn owns just 15% of Renault, with no voting rights. It’s clear that tension between the two carmakers would render decision-making within the alliance tricky. While the French partner has the power to appoint the chairman, the vice chairman — currently Saikawa — comes from Nissan. Spokesmen for both companies declined to comment. A Daimler AG executive also may participate in the meeting, two people said. The German carmaker has stakes in both Renault and Nissan. The Franco-Japanese alliance began almost two decades ago, and in 2002 the partners formed Renault-Nissan BV, an equally-owned company incorporated under Dutch law that’s responsible for the alliance’s strategic management. Mitsubishi joined in 2016.